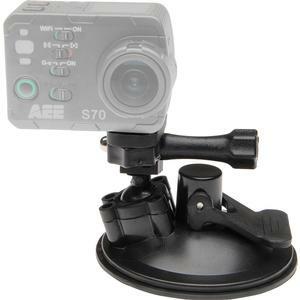 Place your action camcorder in any position for jiggle-free video. 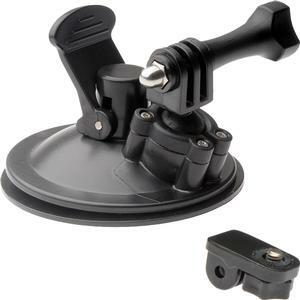 The Vivitar Pro Series Suction Cup Mount is made to work in conjunction with your action camera or GoPro. 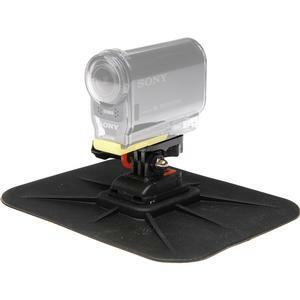 Just attach the camera to the mount and secure it to virtually any smooth, flat surface. 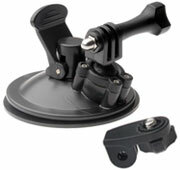 The powerful suction cup keeps action cameras in place so you can concentrate on the moment at hand. 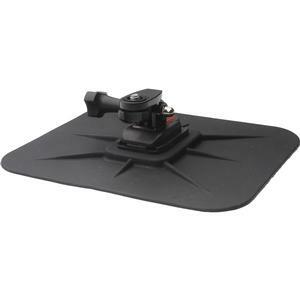 It's ideal for mounting on your car or truck, boat, kayak, motorcycle or off-road vehicle. 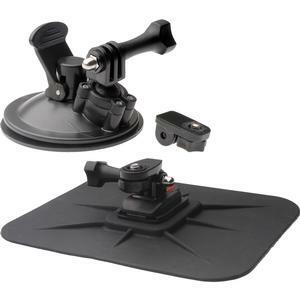 The Vivitar Pro Series Car Dashboard Mount gives you the adjustability to place your action camera or GoPro on your vehicle's dashboard without the hassle of mounting a suction cup to your windshield, giving you another unique angle to record your activity. Thanks to the anti-slip and non-stick surface, you can simply place the dash mat wherever you see fit along your dashboard. Then, place the camera on the mount and use the built-in adjustable tilt to fine-tune your angle.